Best Punk Rock Guitar for good price! 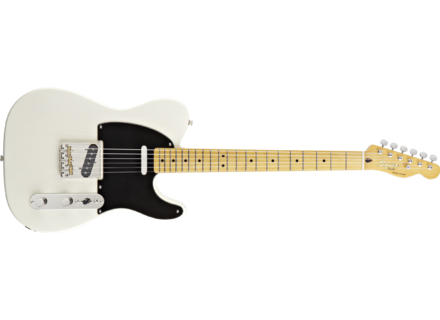 Classic Vibe Telecaster '50s, TLC-Shaped Guitar from Squier belonging to the Classic Vibe Telecaster '50s model.
" it! is "A 50S TELECASTER '!"" " Let time tell us more"
effect(s) do you use with this guitar? What playing and musical style(s) do you play with this guitar? i think evererything is correct for the price maybe need an unpgrade for the microphones.